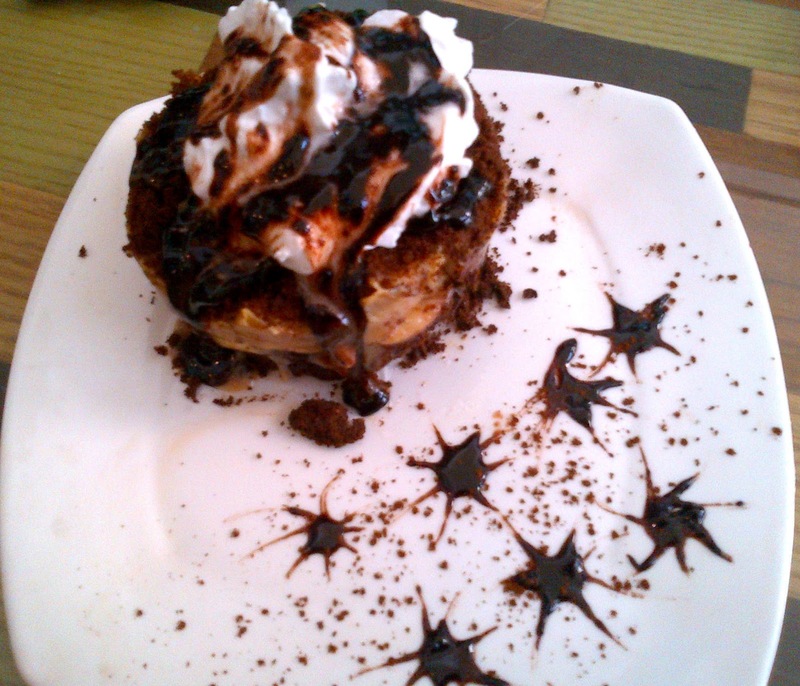 Bandra's popular dessert shop, Deliciae has recently opened it's second outlet in Powai. Just like the Bandra outlet, this one is also sited right next to Out Of The Blue and is known for its sinful desserts and yummy shakes. The display is fancy with cupcakes, cheesecakes, mango desserts and lots of chocolate desserts all over the place. More of a take away outlet; on insisting, we were directed to the Cafe Bean Garu section since we wanted to sit and indulge in some of the best desserts we have had so far. First, we ordered for the Blueberry Cheesecake Shake and the Hazelnut Cold Coffee. 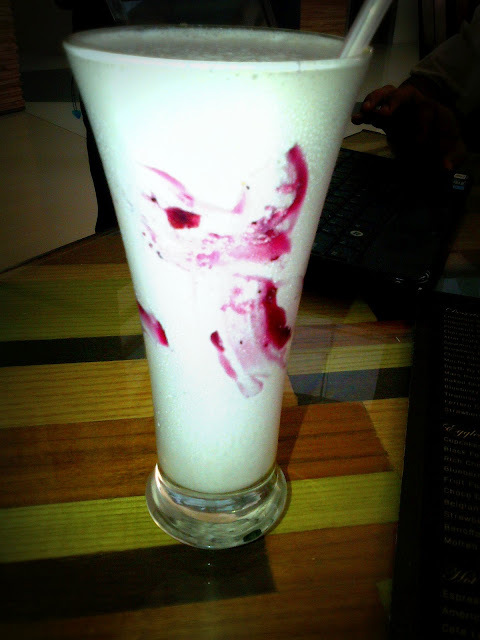 The Blueberry Cheesecake shake came across as a pleasant surprise and it actually felt like having a cheesecake. The Cold Coffee however, was a let down. We couldn't taste much of the Hazelnut flavour. After a short while, we decided to call for the desserts. 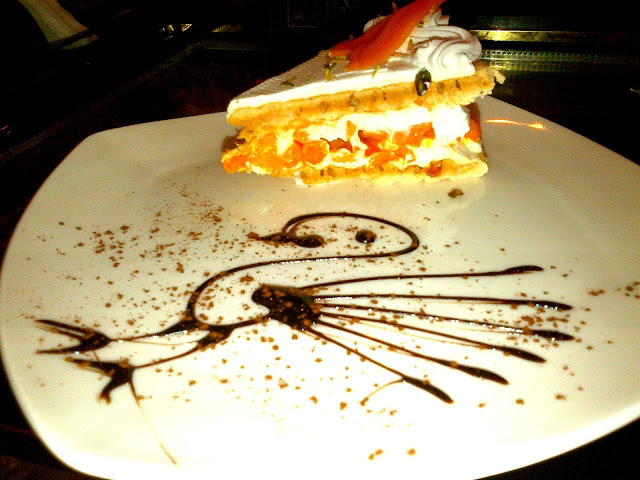 The season's special Mango Meringue and one dessert that not many can get right, Banoffee Pie. The Mango Meringue came first, with fresh mango pieces on the top and centre, sandwiched between fresh cream and a crispy layer of biscuit. Perfect dessert for the summer, refreshing and what better way to enjoy the king of fruits than this! We saved the best for the last, the Banoffee Pie. Lots of chocolate with a layer of banana pieces in the middle topped with whipped cream. The dessert was not too sweet and very close to perfection. We are sure we will come back for this. We were also informed that Deliciae prepares wedding and birthday cakes on order. They have a huge variety from character cakes, 3d cakes to photo cakes and tier cakes. They also customize cupcakes on order. And Pune folks, they are soon coming up with an outlet in Pune (again, alongwith Out Of The Blue). 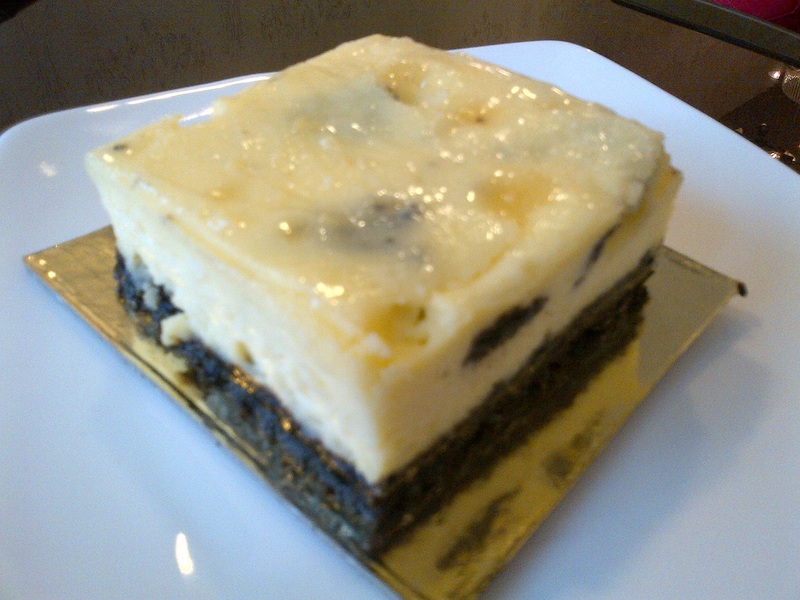 Overall, Deliciae scores high on the scale of taste and quality. Not to forget, we give them full marks for their presentation. Afterall, the first impression counts! Khar has a brand new bakery that serves desserts, dips and more. 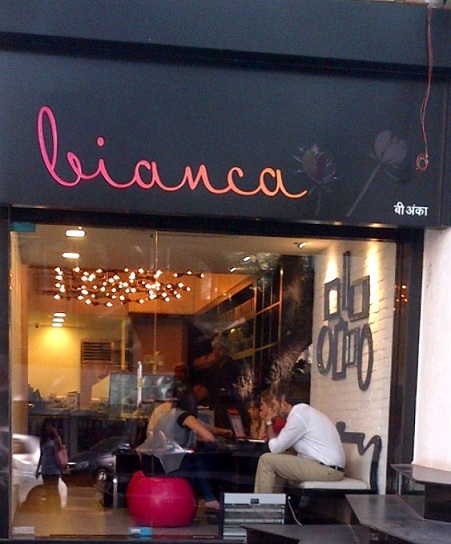 Bianca,located in the same lane as Costa Coffee, Khar, is a tiny, cute little place where you can satisfy your sweet tooth cravings. They have two tables inside where you can park yourself although take away is recommended. The display at Bianca is colourful, with cheesecakes, cupcakes, pastries, dips and more. We decided to try the Red Velvet Cupcake to see if it beats our all time favourite at Candies, and the Oreo Cheesecake which looked very tempting. The Red Velvet Cupcake was dry and not something that we would have on our second visit to Bianca but the Oreo Cheesecake was splendid. The cheesecake layer was delicious with a crusty layer at the bottom. Very different from the ones we have tried before, this one totally scores. 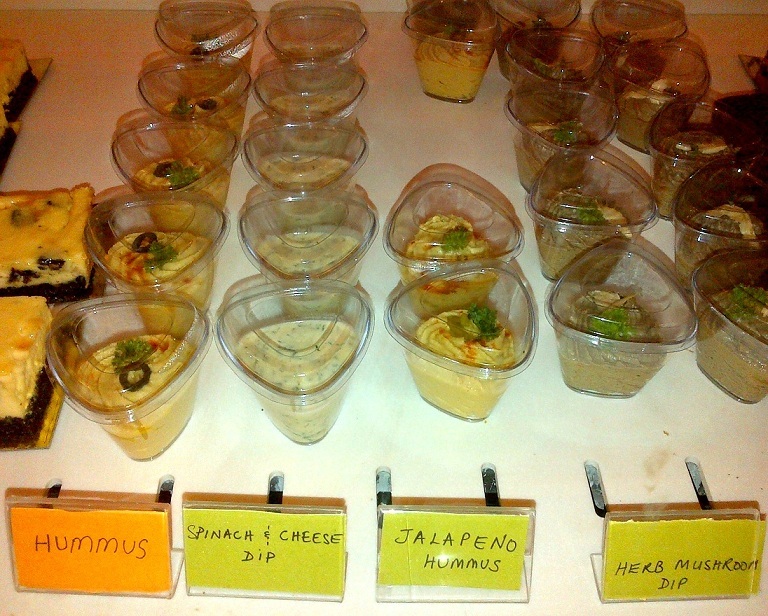 Our take, opt for the take away, skip the cupcakes and go for the cakes and dips which seem to be quite promising.